Oh yes indeed. 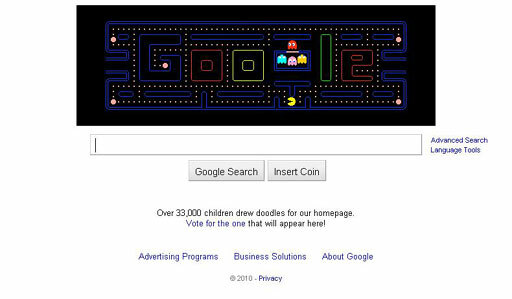 Pac-Man turns 30 and google celebrates with the coolest google doodle ever. If you go to www.google.com/pacman you can actually play it today or view the photo below to see what you missed out on. I played it twice and scored 18,170 the second time around.